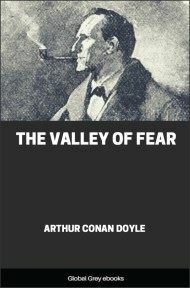 Sherlock Holmes and John Watson are faced with their most terrifying case yet. The legend of the devil-beast that haunts the moors around the Baskerville family's home warns the descendants of that ancient clan never to venture out in those dark hours when the power of evil is exalted. 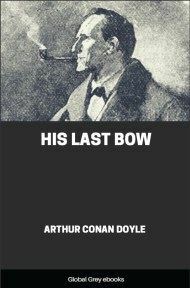 Now, the most recent Baskerville, Sir Charles, is dead and the footprints of a giant hound have been found near his body. Will the new heir meet the same fate? Mr. Sherlock Holmes, who was usually very late in the mornings, save upon those not infrequent occasions when he was up all night, was seated at the breakfast table. I stood upon the hearth-rug and picked up the stick which our visitor had left behind him the night before. It was a fine, thick piece of wood, bulbous-headed, of the sort which is known as a "Penang lawyer." Just under the head was a broad silver band nearly an inch across. "To James Mortimer, M.R.C.S., from his friends of the C.C.H.," was engraved upon it, with the date "1884." It was just such a stick as the old-fashioned family practitioner used to carry—dignified, solid, and reassuring. "Has anything escaped me?" I asked with some self-importance. "I trust that there is nothing of consequence which I have overlooked?" 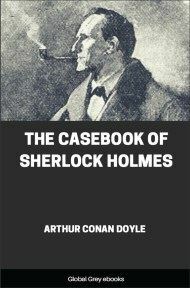 "I am afraid, my dear Watson, that most of your conclusions were erroneous. When I said that you stimulated me I meant, to be frank, that in noting your fallacies I was occasionally guided towards the truth. Not that you are entirely wrong in this instance. The man is certainly a country practitioner. And he walks a good deal." "No, no, my dear Watson, not all—by no means all. I would suggest, for example, that a presentation to a doctor is more likely to come from a hospital than from a hunt, and that when the initials 'C.C.' are placed before that hospital the words 'Charing Cross' very naturally suggest themselves."